The trial of former Trump adviser Roger Stone is set to start Nov. 5 and will last for about two weeks, a federal judge said Thursday, according to NBC News. Stone was arrested in January on seven charges arising from special counsel Robert Mueller's investigation into possible collusion between Donald Trump's presidential campaign and Russia, which Stone has denied. 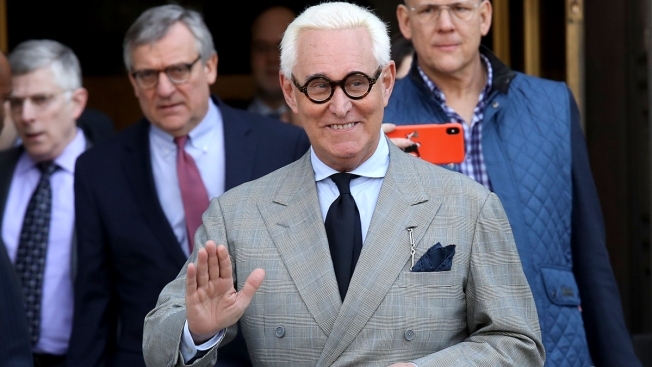 Stone wore a gray double-breasted suit and round glasses to the hearing, which also dealt with the re-release of a book he published as "The Making of the President 2016: How Donald Trump Orchestrated a Revolution," now titled "The Myth of Russian Collusion." That could have been considered a violation of a partial gag order Judge Amy Berman Jackson placed on Stone, but at Thursday's hearing, she said she was taking the circumstances "under advisement."